Like many small business owners, you may be wondering whether you should purchase business income coverage. This coverage can keep your company afloat if you are forced to shut down your operations due to physical damage to your business property by wind, fire, or another insured peril. The following example demonstrates how business income coverage can benefit a small business. Bill owns the Bountiful Bakery, a retail baked goods shop. Bill operates his shop in commercial space he rents in a suburban shopping center. The shop's income is derived entirely from the sale of baked products. Bill buys flour, eggs, butter, and other ingredients from local suppliers. All of the products sold by the bakery are made on-site. About 80% of Bountiful's revenue comes from in-store sales and 20% is derived from deliveries to restaurants. The bakery is closed on Mondays and all major holidays. Bountiful's rented space is divided into two parts: a kitchen in the back and a retail area in the front. The kitchen is equipped with electric ovens, commercial mixers, a walk-in refrigerator, a freezer, and various other equipment. The retail area has one refrigerator that Bill uses to store cold beverages. Bill's bakery business spends most of its gross income on supplies (flour and other ingredients, paper bags, cardboard boxes, napkins etc. ), rent, payroll, and utilities. The bakery's gross income is about $800 per day. He spends an average of $500 per day for supplies, rent, utilities, payroll, and other business necessities. The shop earns a pretax profit of $300 per day. Bill has insured his shop under a commercial property policy. The policy does not include business income or extra expense coverages. Late one Saturday night, a hurricane roars through town and tears off a portion of the shopping center's roof. The following day, Bill stops by the bakery to assess the situation. Except for the roof, the building is mostly intact. However, the interior of the bakery is badly damaged. Much of the kitchen equipment has been destroyed and the retail area is unusable. The shopping center owner quickly hires a roofing contractor to repair the roof. Meanwhile, Bill submits a claim to his property insurer. A few days later, an insurance adjuster appears to inspect the damage. The adjuster refers Bill to a contractor who can repair the interior of the bakery. He then issues a check so that Bill can begin replacing the lost equipment. When Bill contacts his equipment supplier he learns that the convection ovens he needs are in short supply due to the storm. His new ovens won't arrive for at least a month. What's more, the contractor has been inundated with requests for repairs and cannot begin work on Steve's shop for five weeks. The repairs will take two weeks. Steve’s shop could be shut down for two months. Until his business is up and running again, Bill won't have to spend money on raw ingredients, paper supplies, or payroll. However, some of his expenses will continue during the restoration period. These include rent, utilities, and payments on a bank loan. Bill’s business is incurring about $350 per day in expenses even though it isn't generating any revenue. That amounts to approximately $10,500 per month. Once the bakery is back in business it will need to generate profit for several months to make up for the lost income. It is now 60 days after the hurricane and the Bountiful Bakery is about to reopen. Bill's business has not earned any income (net profit before income taxes) since the storm hit. The bakery has incurred about $21,000 in continuing expenses ($350 per day times 60). If the hurricane had not occurred, the bakery would have generated a net profit of $18,000 ($300 per day times 60 days). Because of the storm, the bakery has suffered a business income loss of $39,000 ($18,000 in lost profit plus $21,000 in continuing expenses). Had Steve purchased business income insurance his $39,000 loss would have been covered. Note that business income insurance may include a type of deductible called a waiting period. A typical waiting period is 72 hours. A 3-day waiting period would reduce Bill's business income loss payment by approximately $1,950. Many businesses that purchase business income insurance also buy extra expense coverage. 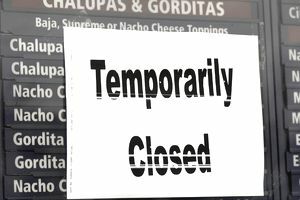 The latter covers expenses you incur to avoid or minimize a shutdown of your business after your property has been damaged by a covered peril. Suppose that on the day after the hurricane Fred, a friend of Bill's, offers to rent his commercial kitchen and retail space at a reduced rate. Bill accepts the offer and pays $1,000 to rent Fred's facility for 60 days. He moves some property that has survived the hurricane to the temporary location and rents whatever equipment he needs. Bill buys supplies, paying extra money to have the items shipped overnight to the new location. The Bountiful Bakery is up and running at its temporary location within a few days. While the scenarios outlined above are oversimplified, they demonstrate the value of business income and extra expense coverages. These coverages can prevent a small business from failing after a physical loss. A business that lacks these coverages may fail even if it is insured for physical losses under a commercial property policy. Who Needs Electronic Data Processing Coverage?